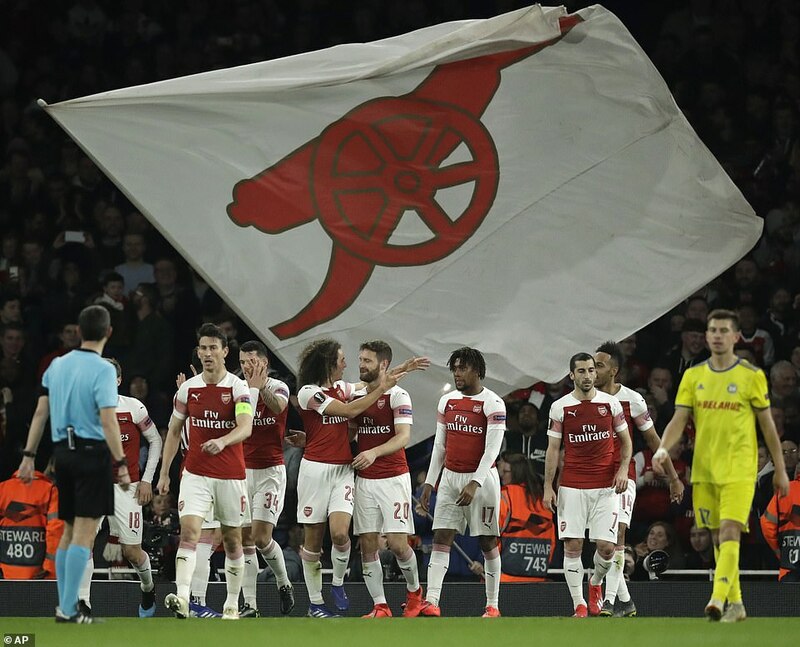 Arsenal reached the last 16 of the Europa League by comfortably seeing off BATE Borisov 3-0 on Thursday and overturning a first-leg deficit that had threatened one of the tournament favourites with elimination. 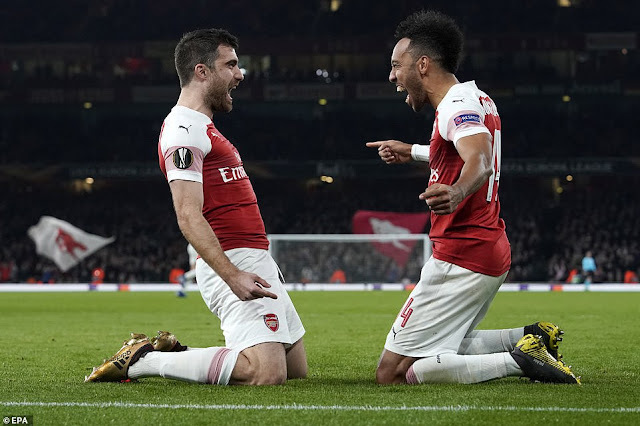 BATE came into the clash at the Emirates with hopes of an upset after beating Arsenal 1-0 in Belarus last week, but the hosts were level on aggregate after just three minutes when Zakhar Volkov sliced Pierre-Emerick Aubameyang’s low cross past Denis Scherbitski in his own goal. Unai Emery’s side poured forward and put themselves deservedly ahead in the tie when Shkodran Mustafi thumped home a header six minutes before the break. 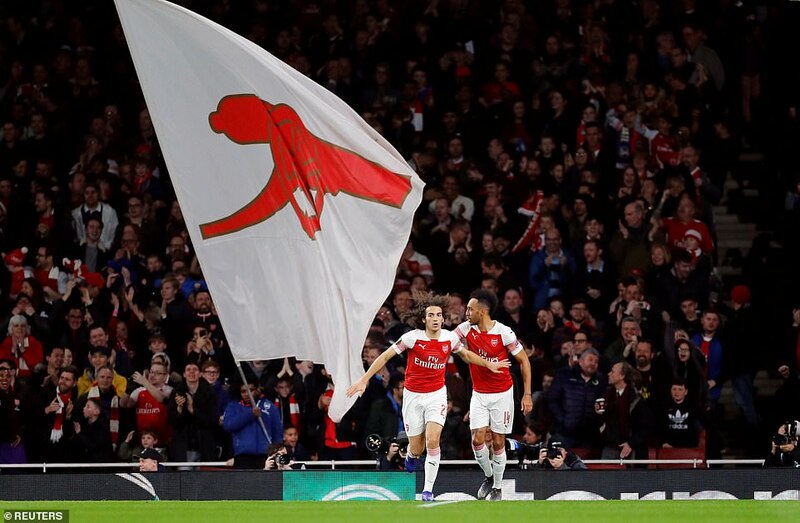 Maksim Skavysh missed a good chance to put BATE ahead on away goals when Arsenal failed to clear three minutes after the restart, but another powerful header, this time from Sokratis on the hour mark, put the Gunners into Friday’s draw. “We wanted this result but also we wanted to play for our supporters here, to improve and build our mentality after the first match away, which was not good. 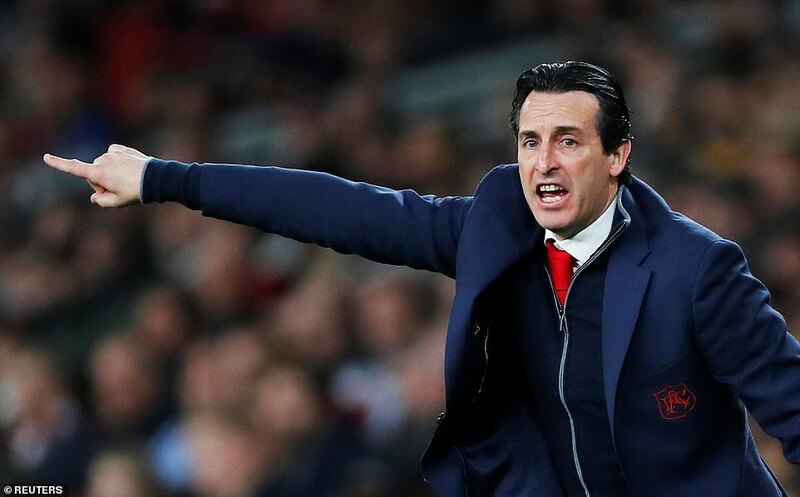 We did our best to come back (in the tie) and the team worked very well,” Emery told BT Sport. Arsenal will be joined by another of the tournament favourites in Napoli after Carlo Ancelotti’s team, who have struggled for goals recently, breezed to a 2-0 win over FC Zurich that saw them win 5-1 on aggregate. Adam Ounas starred on the night for the Serie A outfit after laying on Simone Verdi’s 43rd-minute opener before scoring the hosts’ second with 15 minutes left. “We reached our objective with a serious performance, without causing ourselves too many problems,” said Ancelotti. RB Salzburg, Dinamo Zagreb and Zenit Saint Petersburg all also overturned first-leg deficits, with Austrians Salzburg hammering Club Brugge 4-0 to go through 5-2 and Croatian champions Dinamo 4-2 winners on aggregate after a storming 3-0 victory over Viktoria Plzen. Zenit meanwhile overcame Fenerbahce 3-1 in Russia, Magomed Ozdoev and Sardar Azmoun giving the hosts an aggregate lead before Mehmet Topal put the Turks ahead on away goals just before the break. However, on his home debut for Zenit, Iranian international Azmoun struck again 14 minutes from the end to see Sergei Semak’s side through to the last 16. Pablo Fornals snuck Villarreal past Sporting Lisbon with a fine curling strike that gave the La Liga side a 1-1 draw on the night and a 2-1 win overall. Scotland’s participation in Europe ended on Thursday after 10-man Celtic fell 1-0 at Valencia, already 2-0 up from the first leg in Glasgow and winners in Spain thanks to Kevin Gameiro’s 70th-minute strike. Eintracht Frankfurt swept past Shakhtar Donetsk with a pulsating 4-1 win over the Ukrainians that gave the Bundesliga side a 6-3 aggregate victory. Sevilla cruised into the next round 3-0 on aggregate on Wednesday after a 2-0 win over Lazio that saw Wissam Ben Yedder score his second goal of the tie after 20 minutes before Pablo Sarabia lashed home Jesus Navas’ pass with 12 minutes to play. Later on Thursday, Maurizio Sarri’s Chelsea look to put recent turmoil behind them when they host Malmo with a 2-1 first-leg lead, while inconsistent Inter Milan look to hold their single-goal advantage over Rapid Vienna at the San Siro.